simple to install. 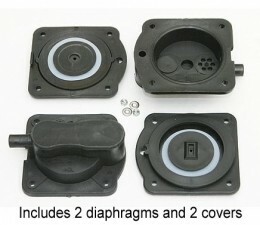 They include diaphragms to fix both sides. Refer to our trouble shooting section for directions on proper replacement procedure.